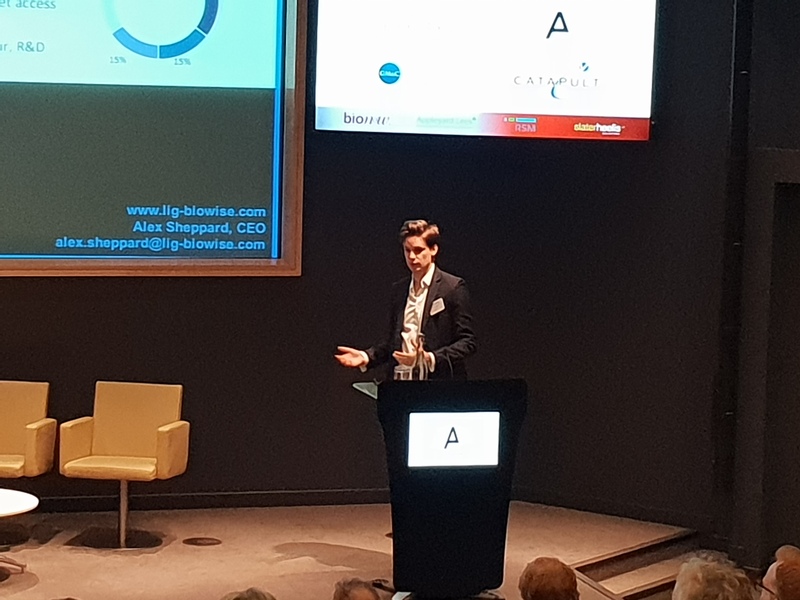 We are delighted to announce that last week our CEO Alex Sheppard beat 5 other companies in a pitching competition in front of a panel over 60 representatives from the international life science investment community. We are delighted to announce that last week our CEO Alex Sheppard beat 5 other companies in a pitching competition in front of a panel over 60 representatives from the international life science investment community. The competition, BioCap, was hosted by BioNow on Thursday 27th September at the Alderley Park Conference Centre. Bionow is the life-sciences membership organisation for the North of England and supports business growth, competitiveness and innovation within the biomedical and life science sectors. Bionow’s membership offering focuses upon the specific needs of firms at their different stages of development, including dedicated business support programmes, shared procurement schemes with significant cost savings, exclusive insurance benefits, recruitment and training services, local and national events and access to a vibrant network of businesses.